Cloud computing promises to provide great advantages and many analysts expect a significant growth of the cloud services market. In a similar manner the forthcoming European regulation on electronic identification and trusted services for electronic transactions in the internal market [eIDAS-EP] is expected to ease electronic identification, authentication and signatures (eIDAS) in Europe. 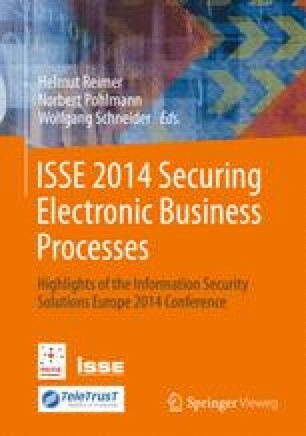 The present contribution discusses whether and how the two approaches can be combined in order to provide services for electronic identification and authentication of entities, the creation, verification, validation and preservation of electronic signatures and the registered delivery of documents in an efficient manner using cloud computing techniques.